William Ferdinand "Wild Bill" Luhrsen, born April 14th, 1884 in Buckley, IL, was a professional baseball player from 1908-1915. He lived in North Little Rock, AR from about 1906 until his death in 1973. Luhrsen was the son of German immigrant George Luhrsen and Catherina Langehennig. He moved to Argenta, AR a young man to live with his aunt and uncle and lived in the area for the rest of his life. While living in Argenta in 1908, Luhrsen's began his professional baseball career began with the Argenta Shamrocks of the Arkansas State League1. From there, he went on to play with Pine Bluff and Brinkley in 1908, going 16-17 on the year. In 1909, he played with Argenta, Marianna and Alexandria, LA. While pitching with the Albany Club of the South Atlantic League in 1913, Luhrsen was scouted by the Pittsburgh Pirates, who intended to draft him. However, when the Pirates' pitching staff was limited by injuries, Pittsburgh chose to go ahead and buy Luhrsen's contract from Albany. Luhrsen debuted on August 23rd and went on to pitch in five games, including three starts, before he was sent to Columbus2. In his cup of coffee, he performed well, going 3-1 with a 2.48 ERA. 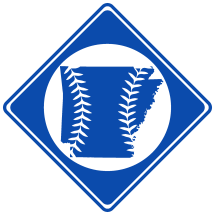 After baseball, Luhrsen worked as a machinist and a lumber buyer in and around Little Rock, AR. He died on August 15th, 1973 in Little Rock and was buried in Edgewood Memorial Park in North Little Rock.